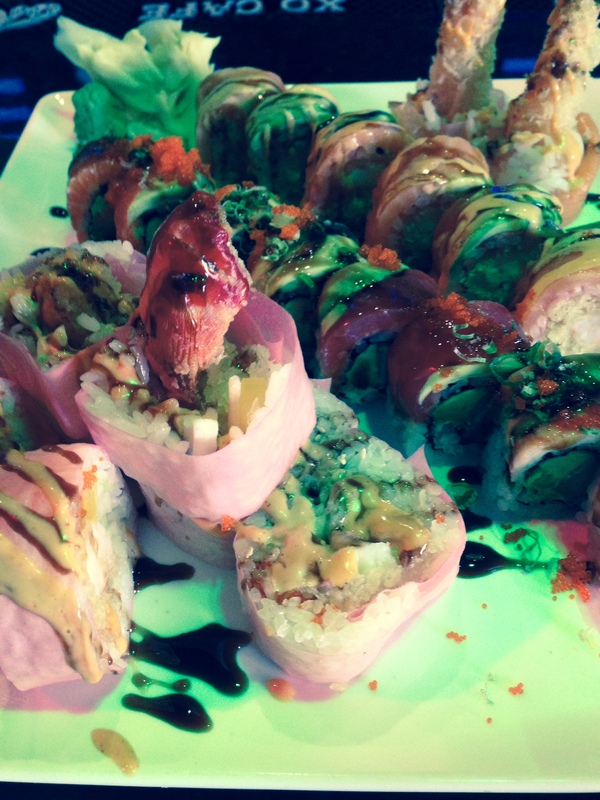 So it seems like I have been having sushi on Sundays a lot recently…maybe I should make this a weekly thing? I certainly wouldn’t mind that! I tried another sushi place in Westboro with my friend Gary, who seems to be an expert on delicious sushi places in the area. We went to Sachi Japanese Steakhouse, which is literally right across the street from the bar I work at (dangerously close). The inside was beautiful; we sat at the bar, which had a great ambiance. 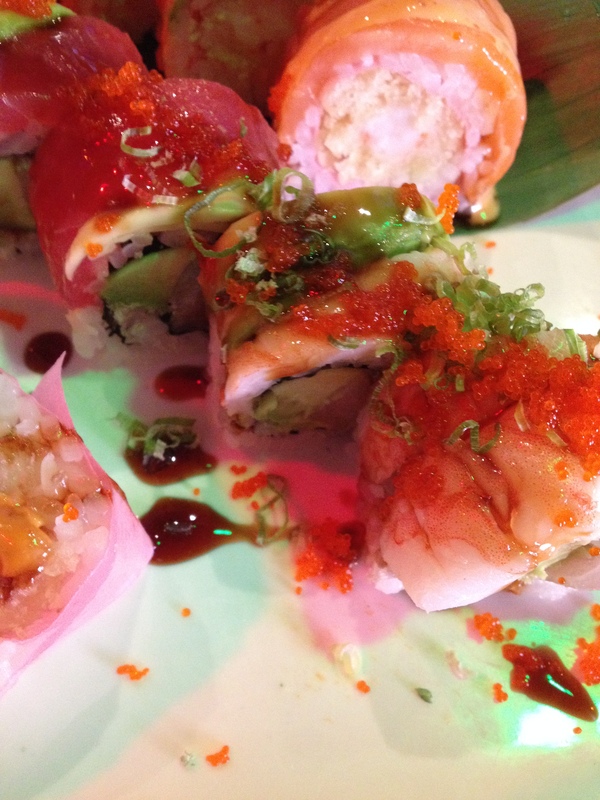 They had a ton of different specialty rolls to choose from, so we tried 4 different ones, all of which were delicious! 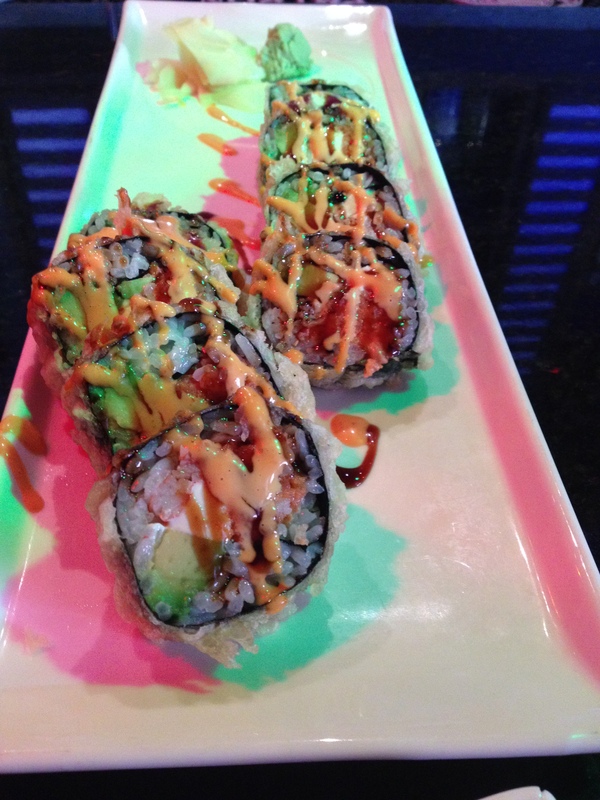 Once I try all the sushi places in Westboro I am going to need to do a comparison and decide my favorite rolls; I certainly am doing the rounds. Gary and I need to make this into a walking tour so we can make the Fitbit happy too! 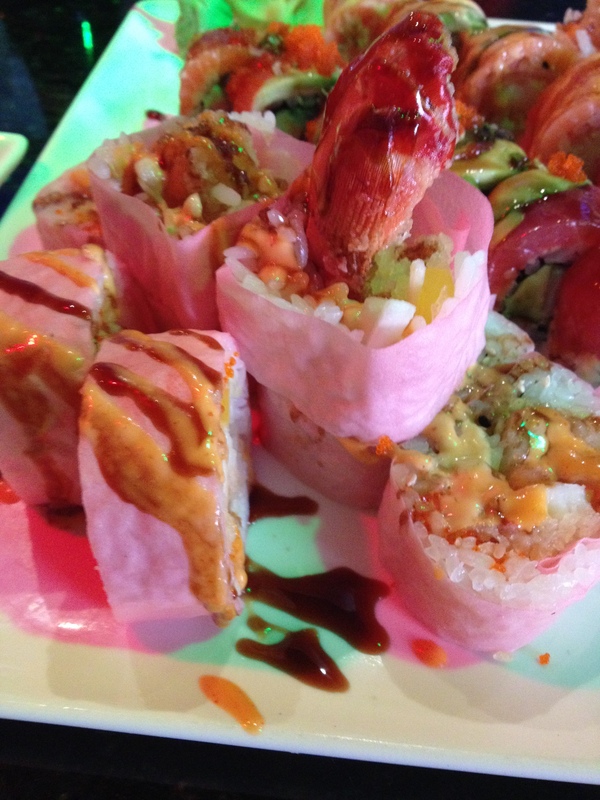 My thoughts: It was rolled in pink soy seaweed, which I thought was unique, but overall sort of bland. My thoughts: Delicious! Loved the creamy avocado on top and the sauce was very good. My thoughts: So good, probably my favorite! 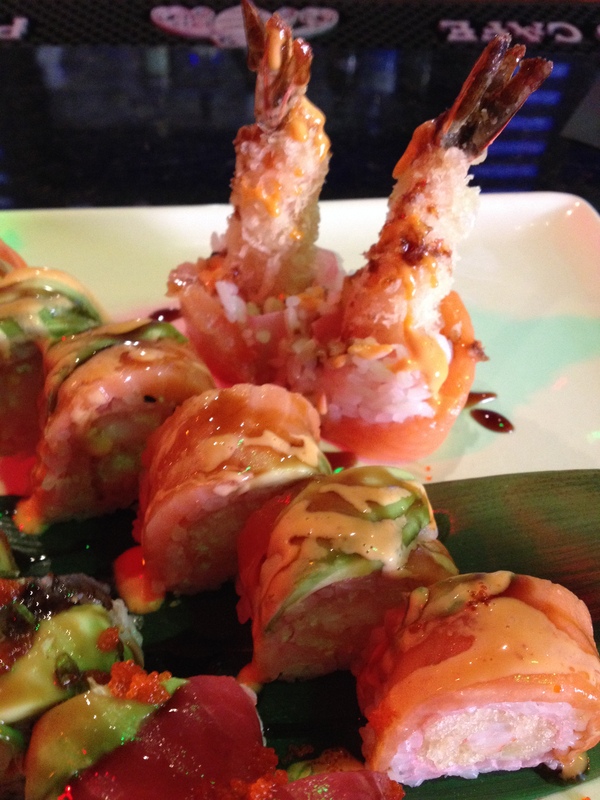 Loved the mix of crunchy shrimp tempura with smoked salmon as well as the spicy mayo. Yum! Well, I am now hungry for more sushi. Unfortunately I don’t have my own personal sushi chef (sigh), so I will be making myself stuffed peppers tonight with my friend Jess’s recipe; can’t wait to see how they turn out! My mud run is this Saturday, so I will also be doing lots of running this week to prep for that. I had a blast last year and can’t wait to do it again!